● Promotional coupon codes occasionally offer deals like $10 off any order worth $200 or more, or $20 off selected wine refrigerator products. ● Free shipping throughout the contiguous US is available for most items. Just make sure you see the Free Shipping label in the product description before checking out. ● Wine Cooler Direct’s Price Match policy ensures you get the lowest prices, and the company will even refund you the price difference if you are able to find a lower price elsewhere within 10 days of purchase. ● An extra 5% discount is available on selected items during special holiday promotions like on Easter and St. Patrick’s Day. Having enough beverages in your house for entertaining is essential for a variety of reasons. Wine Cooler Direct is a company that gives you the ability to take a look at wine refrigerators, cellar cooling systems, beverage refrigerators, ice makers, glassware, and more. Their website gives you the ability to shop through the entire inventory by using the search bar at the top of the site. You can also get a discount on your entire order by taking advantage of the promotions on the front page of the site such as getting 35% off of your order with free shipping. 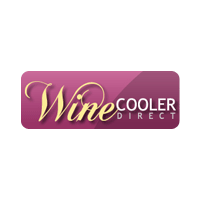 For most up to date offers check out Wine Cooler Direct on Facebook and Twitter or contact Wine Cooler Direct Support for any questions.